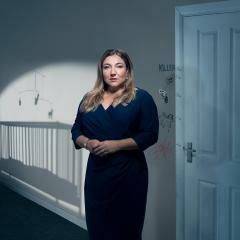 With over 26 years experience working with kids, Jo Frost firmly believes that children are not born evil, but what is it that drives a child to kill? Why do some people believe that there are those who are pure evil from birth? When is a child criminally responsible for their acts? Should a child of ten years old be convicted of murder? Jo aims to answer these difficult questions through the cases she uncovers in each episode, the experts she meets and those people close to the crimes who tell these tragic stories.